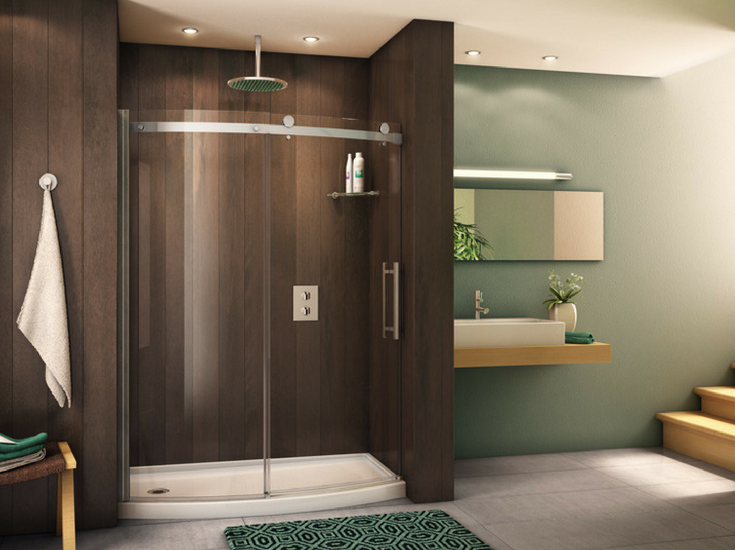 From searching the Internet you may come to the conclusion that the only option to convert a bathtub into a shower would be with an acrylic shower base and sliding shower doors – but nothing could be further from the truth! In the article below check out 5 new and unique types of entries, bases and styles of glass being used in these conversion projects. Your small bathroom doesn’t need to be boring ever again! It’s now possible using a glass reinforced plastic shower base to remove an old tub in a bathroom as small as 5’ x 7’ and make a one level roll in shower and wet room that is safe and stylish. With this shower base former you’ll remove the old tub, put the shower base former in and waterproof the entire room. 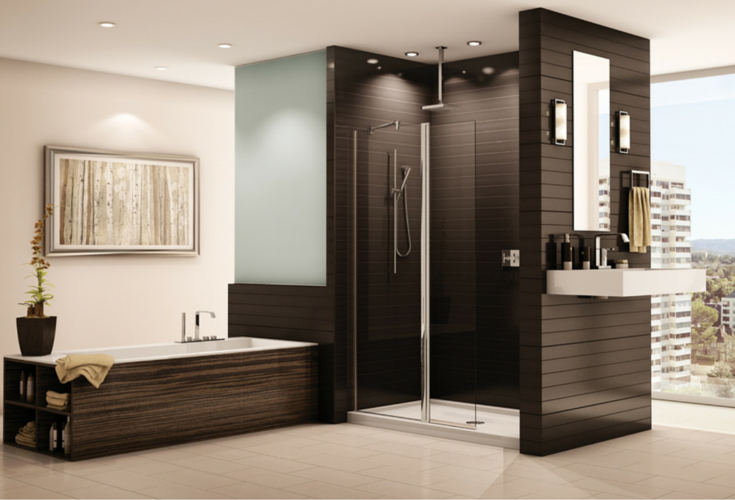 Your bathroom will feel larger and become more stylish. Look at how fashion-forward this 5′ x 8′ bathroom looks now. Using either an acrylic or ready for tile base you can have a glass block walk in shower where a tub used to be! A stylish curved wall will make it score high on the cool scale. It’s also fun that you’ll be able to blow up the maintenance of your nasty builders-grade cheap shower door. 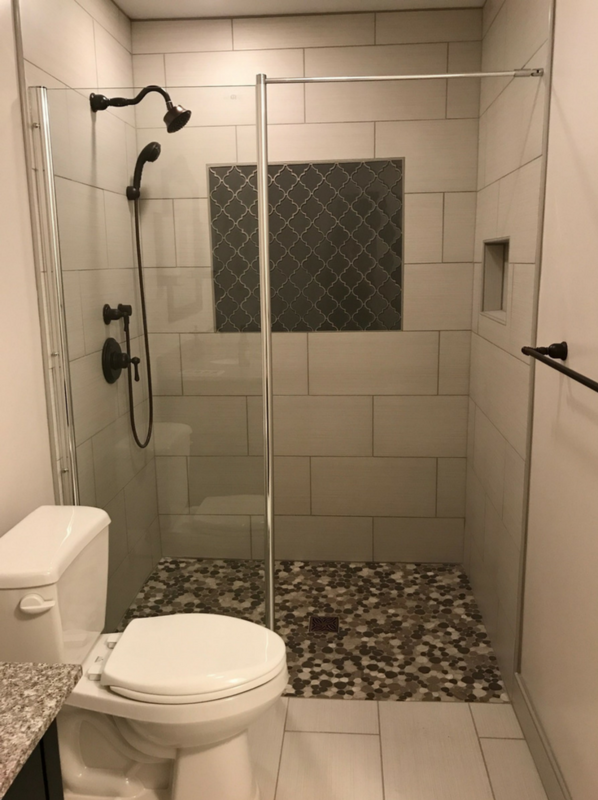 Shower shields are usually constructed with a stationary glass enclosure plus a pivoting door that allows larger entries at the end of a shower. They provide a contemporary upscale style while simultaneously providing a safer entry. It’s also nice to know these acrylic shower pans are reinforced with a multi-density fiberboard underneath them so they’re sturdy and won’t squeek or move when you walk on them. 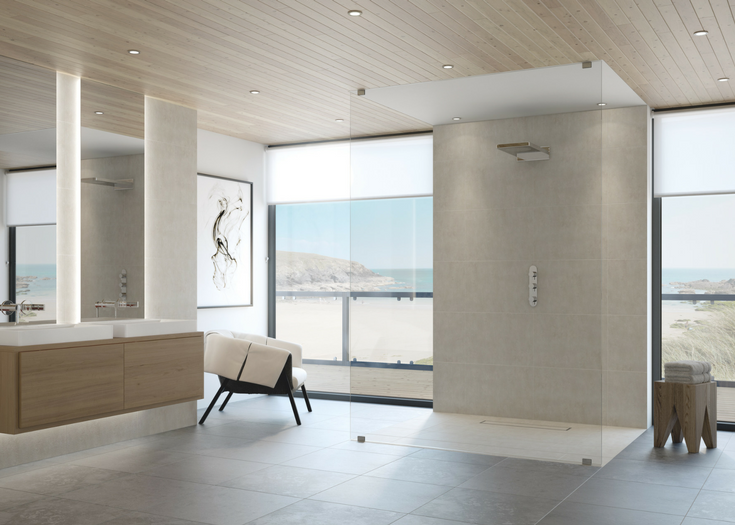 For many people a bath to shower conversion is an important choice to allow them to stay in their homes longer (or “age in place” as some people call it). 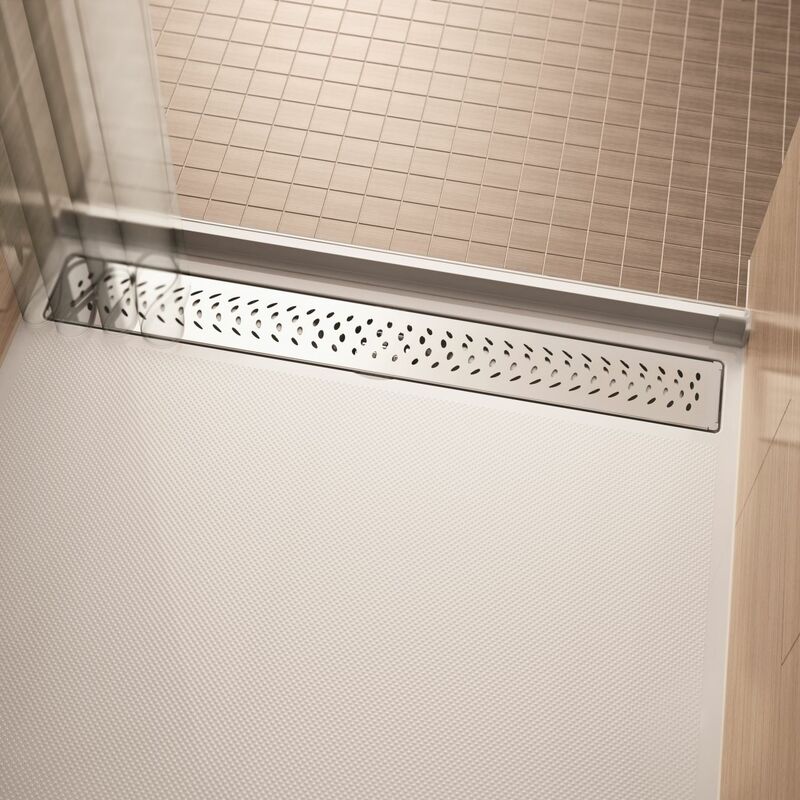 A roll in barrier free shower provides access for someone who uses a walker, wheelchair or other mobility devise. The great thing is these showers don’t need like your in a hospital! New Bath to Shower Conversion Option 5 – Curved sliding glass enclosure with elbow room to spare! It’s always nice to have more elbow room in a shower stall. Using this curved acrylic shower pan and glass enclosure – the small space previously occupied by a bathtub can become a focal point of the bathroom. Since they’re made in standard sizes they won’t set you back an arm and a leg to own them. How many of these new 5 options were you aware of? Do you have any questions about which of these systems would provide the best option for you? Feel free to comment or provide questions below. Give us a call if you’re looking for materials (factory direct on a nationwide wholesale basis) or a qualified remodeling contractor in Cleveland or Columbus Ohio. If you’re looking for more nationwide supply or an estimate on installing one of these unique bath to shower systems visit The Bath Doctor of Cleveland (216-531-6085) or Columbus (614-252-7294). For nationwide direct product sales call Innovate Building Solutions (877-668-5888). 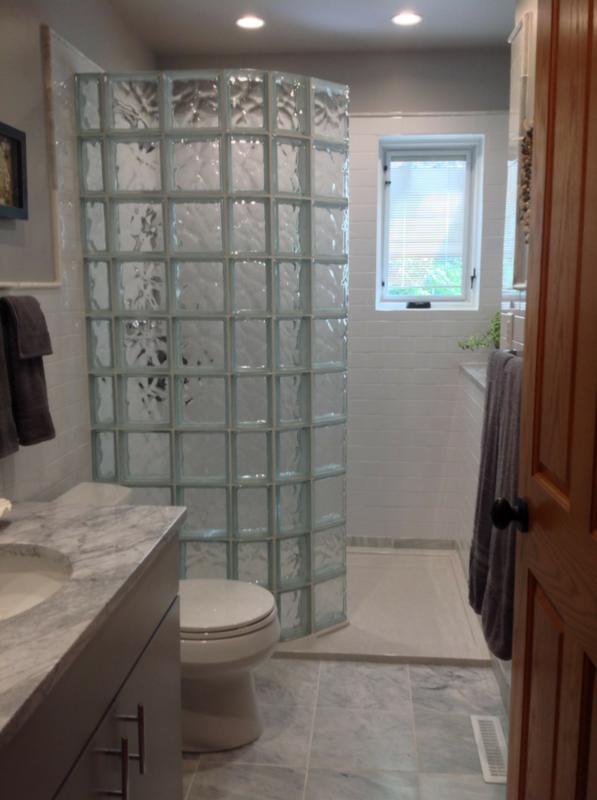 For complete bathroom remodeling contact Cleveland Design & Remodeling (216-658-1270).